The audio and Word document versions of our current What’s On, covering the period from end of February to May 2019 are embedded below. The audio version is split into a number of tracks and listings are arranged by region. The audio version was recorded in mid-January, so we strongly recommend you visit What’s On for the most up-to-date listings. Our What’s On guide is also available in braille, in clear print and as a monthly email update. 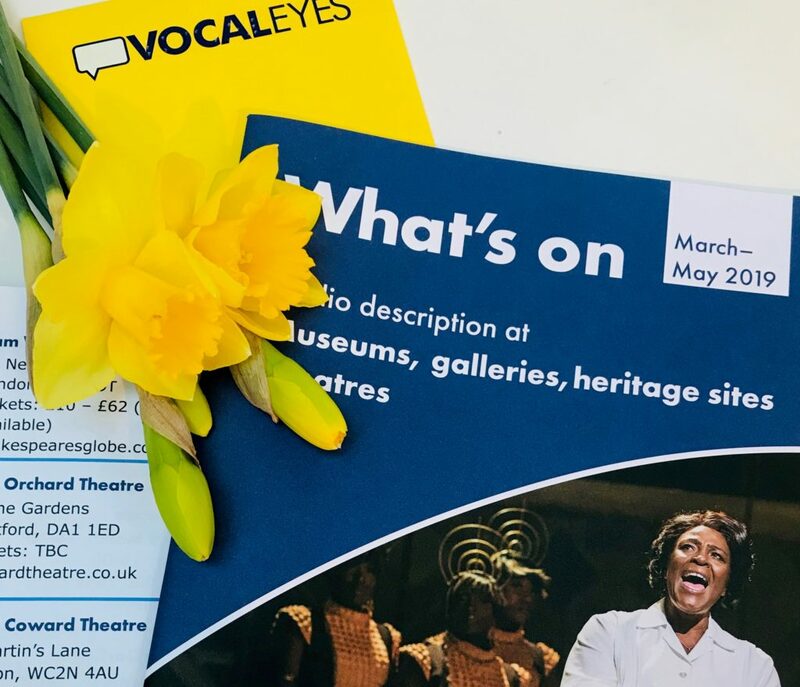 To subscribe in your preferred format sign up here or contact us at enquiries@vocaleyes.co.uk or on 020 7375 1043.